At the heart of an Oasis, lies Farafra, a small yet unique setting for any visitors wishing to visit the old Egypt traditions and customs dating back many centuries. To ensure visitors that they get a real insight into these times, the Badr’s Heritage Museum in Farafra gives a truly wonderful and informative look at this period. 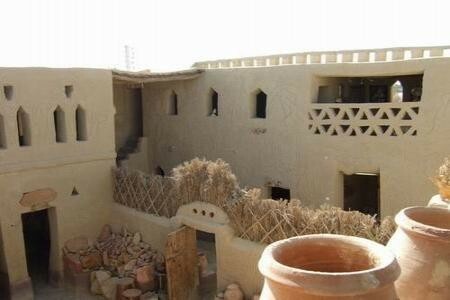 Farafra Egypt and the Badr’s Heritage Museum is situated in the Western Desert region and not far from the White Desert making it very accessible for tours. 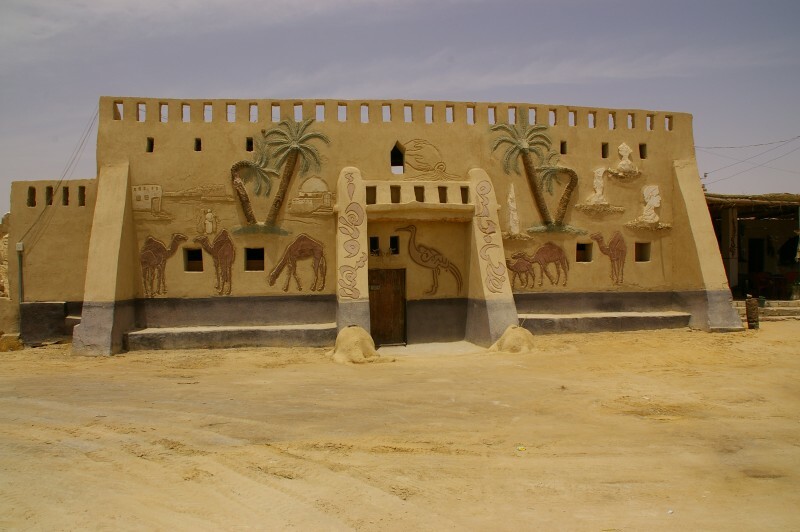 On approach to the Museum which is about 3 kilometres east of the town of Farafra, you will be greeted by a site which looks rather like a giant sandcastle which gives the museum a unique aspect. located in Farafra Oasis, Mr Badr Abdel-Moghni is a native of the Oasis, a self-taught artist who encapsulates the local life in sculpture, oil and watercolours. He has shaped models out of local clay into postures illustrating the crafts and pastimes of the people of Farafra and exhibits them in a custom-built museum, together with a collection of local objects. He is also a mine of information about the life and culture of the oasis.Some of Badr’s most striking work is in local sandstone which he carves into distinctive figures and features.